Hello and welcome to my simple golf swing made easy. Ever since I was a small child golf has been a passion of mine and i have purchased a lot of equipment in order to hone my golf skills and my enthusiasm for the game. Ever since I was a small child I developed a passion for golf.You see I grew up in a small county in Pennsylvania and my parents home was actually a short walk through the woods to our local public golf course. There was also at the course a driving range where at the age of 12 I actually got my first job picking up golf balls from the range. I guess the best part of the job was that when the golf pro was not busy he would give me and my friends tips on grip and swings and stuff like that. I am doing this website blog because I know there are a lot of people who would love this wonderful game if they were just introduced to it.I was lucky enough to be introduced to it at very young age and for that I am truly grateful. All through my childhood we were able to get our homework done, grab a couple clubs and sneak on the course and play a couple holes. I think a lot of people are under the impression that they cannot get into golf because it is just to expensive to play, but that is just not the case.You can pick up a set of good used golf fairly cheap on sites like craigs list. 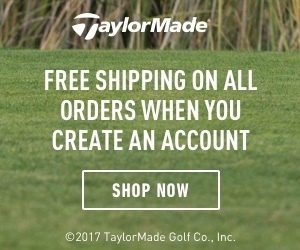 you can get refurbished golf balls fairly cheap at any wal mart or other stores. Over time I will be posting all kinds of golf tips and ideas that you can take to the golf range and practice on your own. I think when most people just try this great game they will just fall in love with it.